There’s more to packing the kitchen of your RV than sticking a bunch of food in the fridge. You have to make sure to bring along all the essentials like cooking oil and spatulas. And don’t forget that when it comes time to eat, you’ll need to have things to serve the food in. 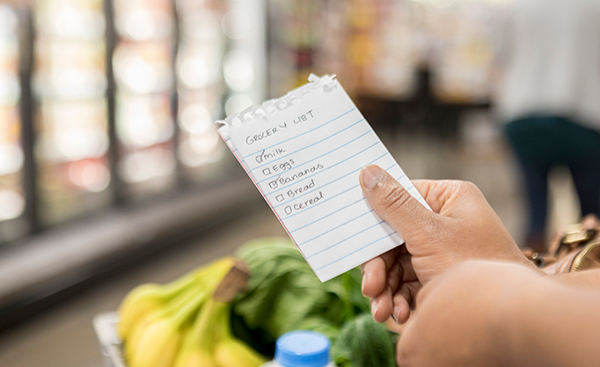 Our RV kitchen checklist is full of all that stuff most of us completely forget about until it comes time to make a meal. 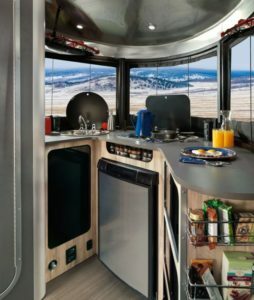 Keep in mind that your RV kitchen is probably much smaller than the one in your home. Make sure you have all you need and not much more. We highly advise creating a menu for the duration of your next RV trip. The best advantage of doing this is that it gives you a sense of what you need to shop for before you leave. Otherwise, you will be buying random amounts of food, which may be too much or too little by the trip’s end. Before any road trip, it’s best to make sure you have the right insurance. Your RV needs Specialty RV Insurance. Your regular Auto Insurance won’t sufficiently cover either vehicle. To find out what insurance coverage is right for you, speak with an Insurance Specialist at (866) 501-7335. The information in this article was obtained from various sources. This content is offered for educational purposes only. It does not represent contractual agreements. It is not intended to replace manuals or instructions provided by the manufacturer or the advice of a qualified professional. The definitions, terms, and coverage in a given policy may be different than those suggested here and such policy will be governed by the language contained therein. No warranty or appropriateness for a specific purpose is expressed or implied.